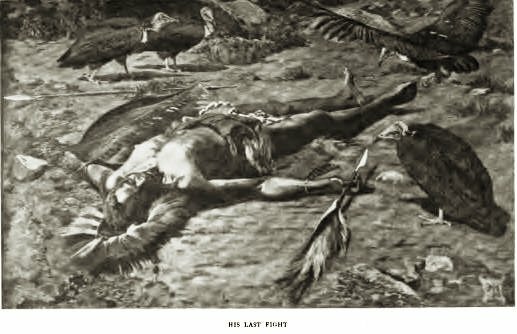 Below is a painting of a dead Maseko Ngoni warrior as drawn by Sir Harry Johnston during the war against Yao slavers around 1890s. Below is a vivid description of the realities of war and the circumstances that led to the discovery of the body of this brave warrior. In a secluded part of the precincts amid the scattered vegetation of the village outskirts I suddenly came across the body of a fine-looking Angoni, not many minutes dead. He might have been fighting on our side; he might haven been hired by the Arabs as one of their raiders, but someone had killed him with a bullet through the head and he had fallen in his tracks, in all his panoply of war, scarcely conscious of the object for which he fought. His right hand still grasped the stabbing spear, his left still held the ox-hide shield. His throwing spears had flown from his hand and were scattered on the ground. Grimmest sight of all — four vultures had already arrived on the' scene to examine him. Two birds promenaded up and down with a watchful eye, ready on noting any sign of returning consciousness to take their departure; another bird, somewhat bolder, stood on one leg and inspected him as might a thoughtful surgeon; and the fourth whirled in circles on out-spread pinions round the body, wishing to settle but frightened, in case after all it was a swoon and not a death.